Guest blog post by Jessica Holbrook of Salt & Sol Life. 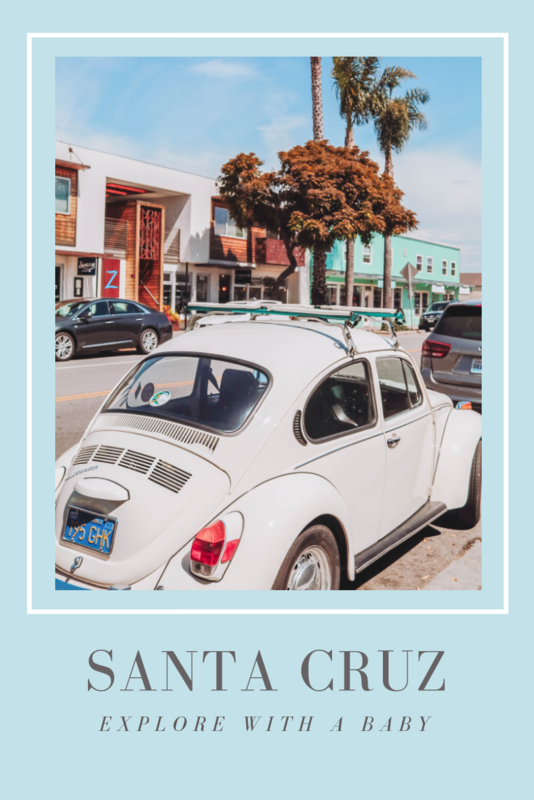 All those qualities that make Santa Cruz, California a great college town, an abundance of coffee shops, a lively music scene, and plenty of places to grab a quick bite to eat, make it the perfect getaway with a baby. The vibe is casual and the people are laid-back. When I first moved to Santa Cruz from San Francisco as twenty-something I was shocked to discover flip flops and yoga pants were totally acceptable to wear out to dinner. Now as a mother I embrace the casual, carefree spirit of my funky beach town. Spending a day in Santa Cruz means not worrying about the smidge of pureed spinach on your shirt or whether you remembered to put on deodorant before rushing out the door. Sometimes we need a refuge from the craziness of parenting, and what better place than a beach town whose forested mountains feed your soul and playful energy awakens your inner child? I must have put thousands of miles on my BOB stroller walking around Santa Cruz. 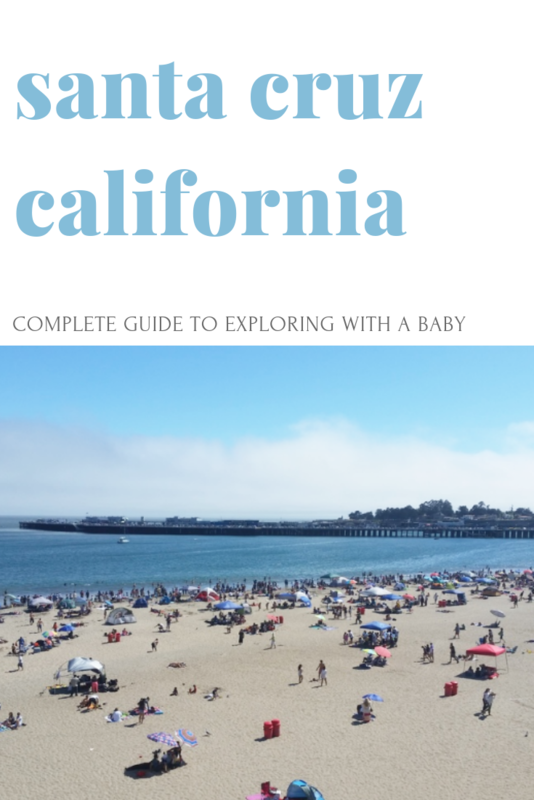 I’ve listed a few stroller friendly walks below but if you have a carrier there are great hiking trails in nearby Henry Cowell State Park and Wilder Ranch State Park. West Cliff: Park in one of the three free parking lots near the lighthouse on West Cliff Drive and follow the paved pathway along the coast to Natural Bridges State Beach. This is the stroller freeway of Santa Cruz and you’ll see countless parents pushing their little ones along this stunning three mile stretch of coastline. My favorite times of day to do this walk is either first thing in the morning before the afternoon winds pick up or at sunset. If the salty air isn’t enough to wake you up, pop over to Steamer Lane Supply, a little coffee shop adjacent to the bathrooms, and grab a caffeinated beverage. Pic Tip: There are endless photography opportunities along West Cliff including the lighthouse and the sandy dunes at Natural Bridges State Beach. East Cliff: Park in the neighborhood by the Point Market (32nd ave and East Cliff) and watch the surfers catching waves at Pleasure Point. . As you continue on you’ll pass by several other surf breaks and you might find yourself adding “surfing” to the list of things to do when your baby is a little older. When you reach the parking lot at the end of 41st ave you can turn around and head back or extend your walk by taking a right on Opal Cliffs Drive. This section doesn’t have sidewalks but is a popular street for pedestrians so most drivers are mindful of mamas and strollers. Walk for about ¾ of a mile and you will be rewarded with a picturesque view of the charming Capitola Village area. Walk down into the village if you’re up for a long walk or head back to Pleasure Point. Pic Tip: I love snapping shots of the flowers that grow along the bluff top. Farmer's Market: There’s practically a farmer’s market every day of the week in Santa Cruz. The year-round downtown farmer’s market on Wednesday evening’s is the largest and from 1pm-5pm you can sample fresh produce or shop for locally make olive oils, jams, breads, and other delicious goods. Don’t miss the strawberries from Live Oak Farms, they are reason enough to make your way to the farmer’s market! Shopping: Pacific Ave in downtown Santa Cruz is the main shopping area and has a mixture of mainstream retailers such as GAP and Urban Outfitters but also some locals gems. Definitely pop into Bookshop Santa Cruz, many of the books have staff reviews which makes it easy to quickly pick up something good to read. Sockshop and Shoe Company across the street has quality shoes for the entire family and an assortment of outrageous socks that will make you smile. 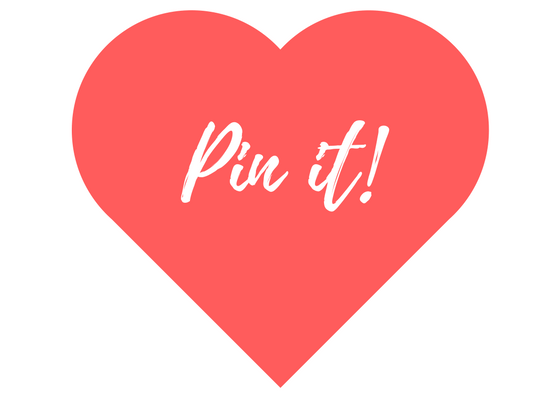 Looking for unique clothing, home decor, or jewelery? Stripe is a few blocks away and carries a little bit of everything... and you will want to buy everything! 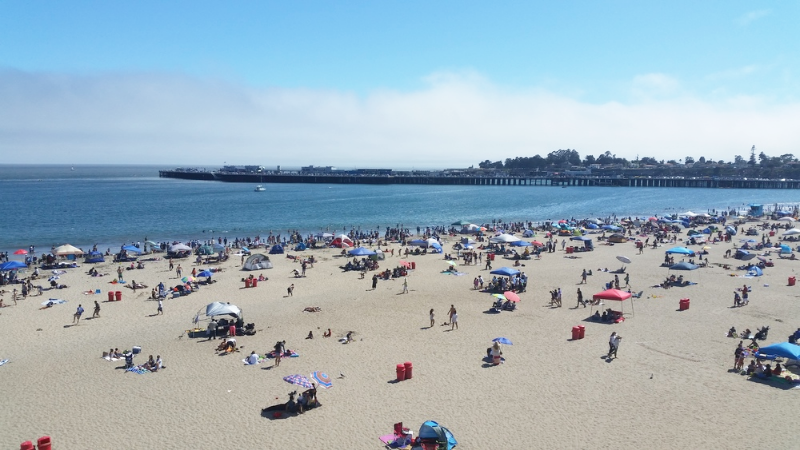 Beach Day: Capitola Beach is popular with Santa Cruz families and for good reason. The waves are a little mellower than many of the other nearby spots and there is a plethora of eateries in Capitola Beach that make it easy to grab some take out to enjoy on the sand. If you want something quick, Pizza My Heart is steps from the beach and sells pizza by the slice or by the pie. PIc TIp: The “Jewel Box” of Capitola Village is a section of brightly colored cottages that make a fantastic backdrop. Wander Amongst the Redwood Trees: Drive twenty minutes into the mountains from Santa Cruz and you’ll find Henry Cowell State Park. There are two entrances to the park, you’ll want to access it from Highway 9. Head to the visitors center where you can pick up a trail map and learn a little about the fascinating natural history of the area. The slightly less than a mile Redwood Loop trail is the perfect spot to take in the beauty of towering old growth redwood trees and let babies get a little dirty. Pic Tip: late afternoon is the best time to capture the sunbeams coming through the redwood trees. Catch a Concert at Roaring Camp: Adjacent to Henry Cowell State Park in Felton is Roaring Camp, an old timey train station. In addition to offering train rides through the redwood trees they are also a music venue. Whether it’s a family friendly music festival or simply just a few performers putting on a casual afternoon show, there is almost always live music at Roaring Camp in the summer and fall months. Part of being a parent is never having quite enough time to truly relax and savor a good meal. It always felt like my children were angels for the first ten minutes at a restaurant, just long enough for us to get settled in, and then by the time my food had arrived I found myself with a wiggling, fussing toddler on my lap. After countless failed attempts to enjoy a leisurely meal out, I have assembled a collection of quick but delicious places where I can nourish myself in thirty minutes or less. The Buttery: My favorite place to treat myself, The Buttery has everything a mama needs. An incredibly rich mocha, fresh pastries, and flavorful salads. The cherry on top is the pretty little outside eating area with plenty of space to park a stroller. You order from the counter and your food will be brought to you which makes it a fast but delicious option for breakfast or lunch. Need a high chair? Usually there are a few near the bathroom. Pic Tip: There is a large, colorful mural across from the outside eating area. Cat and Cloud: This welcoming, cheerful coffee shop serves strong caffeinated beverages and locally made baked goods. The Point Market: The breakfast burritos are a favorite staple of surfers in the area. Grab a couple of burritos and walk over to the benches for an affordable ocean view dining experience. Harbor Cafe: The outside patio is packed on the weekend with brunchers imbing in mimosas and bloody mary’s. Expect a long wait to get a table, plan accordingly, but there is a cute little park across the street that’s the perfect place to let your baby play while you wait. Abbott Square: An outdoor courtyard served by a collection of different food vendors in downtown Santa Cruz, this is an easy place to have dinner and a drink with a baby. On Friday evening’s there is frequently live music or some type of live entertainment. Bring layers, it gets cold in the evening! 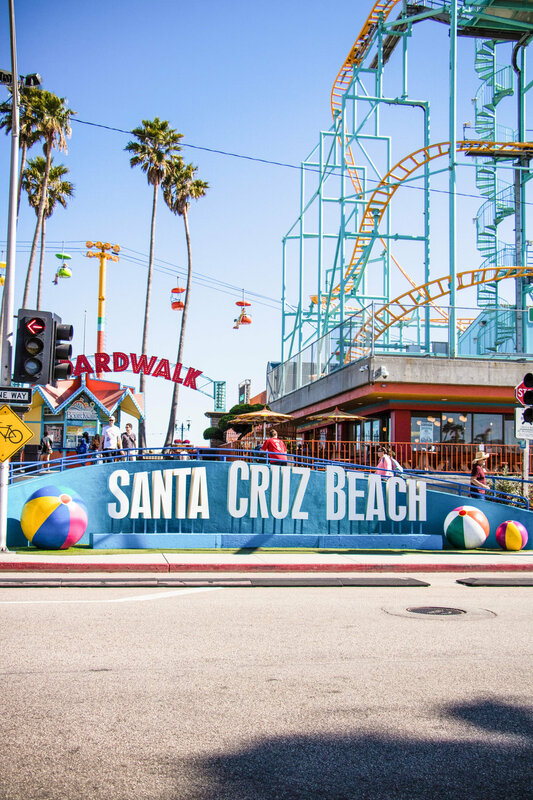 You’ve had such an incredible day and you want to keep the fun rolling into the evening but... you have your little one with you… Fortunately Santa Cruz has a few great things to do that will satisfy your date craving even when you’re a trio rather than a duo. Watch a Santa Cruz Warriors Game: The Santa Cruz Warriors are the minor league version to the NBA Golden State Warriors. The season goes from December to March and it’s a fairly baby friendly way of enjoying a sporting event. With Santa Cruz Warriors tickets costing significantly less than what they would cost to watch their professional counterpart you can stay for as long as baby allows you to and leave early guilt free. Beach Party at the Crow’s Nest: During the summer the Crow’s Nest Restaurant hosts a free all ages weekly beach party on Thursday nights. From 5:30pm until sunset you can listen to the band, dance barefoot in the sand or simply have a glass of wine and watch the sunset over the water. Don’t forget to bring a jacket because it gets chilly when the sun starts setting! Pic Tip: The harbor lighthouse is a popular spot for a photo and is especially beautiful at sunset. First Friday: Local businesses in the downtown area host a free art walk on the first friday evening of every month. Artists throughout Santa Cruz County display their work in various shops as a temporary exhibit and it’s a great chance to appreciate art in an informal, casual setting. Check the website to get a list of stores that are participating. There is an abundance of places to stay in Santa Cruz, although many of them are overpriced and underwhelming. Weekend prices are significantly higher so if you’re able to sneak in a mid-week getaway you will save money and avoid the crowds. Also, check out Airbnb if you’d prefer having a little more space or the option of cooking. There are lots of really quaint little vacation bungalows for rent, especially in the Seabright neighborhood. The Dream Inn: A hip, aptly named hotel that is just up the hill from the Beach Boardwalk. Walk out of the hotel and you’re on West Cliff. This is a great spot if you plan on wanting to enjoy some nice walks and you can’t beat the views of the Monterey Bay! A pool, hot tub, beach access, and Verve coffee, make this a winning choice for families! Chaminade Resort and Spa: Set up on a hill away from town this is a great option for families looking for a quiet place to stay. There are a few short hiking trails that are accessible from the resort, just be aware that there is copious amounts of poison oak alongside the trails so you’ll want to make sure baby doesn’t reach out to touch any plants with three leaves!